Just begin they say. The journey of a thousand miles begins with a single step. "But what will happen? Will this journey be worth the effort, will my agony really end? Will I be safe? How long will this take? Oh dear Lord please help me, please, please, please help me!" Perhaps just a few of the many thoughts voiced aloud, if not one of the many reserved close to the heart when we seek out a saint through prayer, begging for their help. Today is the Feast of St. Joseph, one of my most cherished Saintly friends. I should actually say mentor and protector. It's been years now since I have begun saying Novenas to St. Joseph, asking for his intercession for a myriad of reasons. Waiting patiently for the yes I've longed for, the answer I WANTED. Looking back I am not sure any of those requests were granted. Not that God refused my requests made through St. Joseph, instead I believe God's answer did come but not the one I wanted, not the way I wanted. This headstrong soul is now beginning to understand that the silence and denying of my request has been a "Wait, wait my child, now is not the right time, now is not the best time for your best interest." And so I've continued to wait, and wait for such a long time. In my waiting I have prayed for greater faith, for the strength of greater perseverance, for an increase in humility, for greater understanding, especially of the silence, all so that I may clearly hear what is God's will for me. Many tears have been shed, countless sacrifices and rosaries have been offered, so many times in confession asking for forgiveness for my lack of faith. Yet I continue to return to the devotion of saying Novenas, while my circumstances have never truly changed, I have. In my waiting I've learned to pray the Novena's not merely say them. And there is a difference. I'm learning to yield to the example of St. Joseph. He is teaching me how to grow in greater virtue, and in this planting season he is tending to what truly needs to be done in my life; a deeper curating of my soul. In our present times where immediate gratification has become the norm and waiting for the better part is looked down upon, Novenas offer us a season of new birth, no matter the time of year. Will I be heard, might be a question we might ask ourselves when venturing to pray a Novena. But I truly think what we are really asking is "Will I get what I WANT?" Perhaps we will but maybe we won't. But I think more importantly we will be given what we truly need, what we need to grow closer in God's will for our better souls. It's in these seasons of waiting, mini Lent's if you will through the intercession and mentoring of the Saints, God tills the rocky soil of our hearts so that he can plant an abundance greater than what we were asking for, greater than our hearts content. Will I be heard? Yes my friend you will be heard! Will you get what you are asking for? You will indeed receive something, but it will be far better than anything you could have planned. I'd encourage anyone who has not gotten to know to St. Joseph to do so and soon. I am constantly amazed at how he continues to guide and bless my soul and especially that of my family and in such gentle and loving of ways. 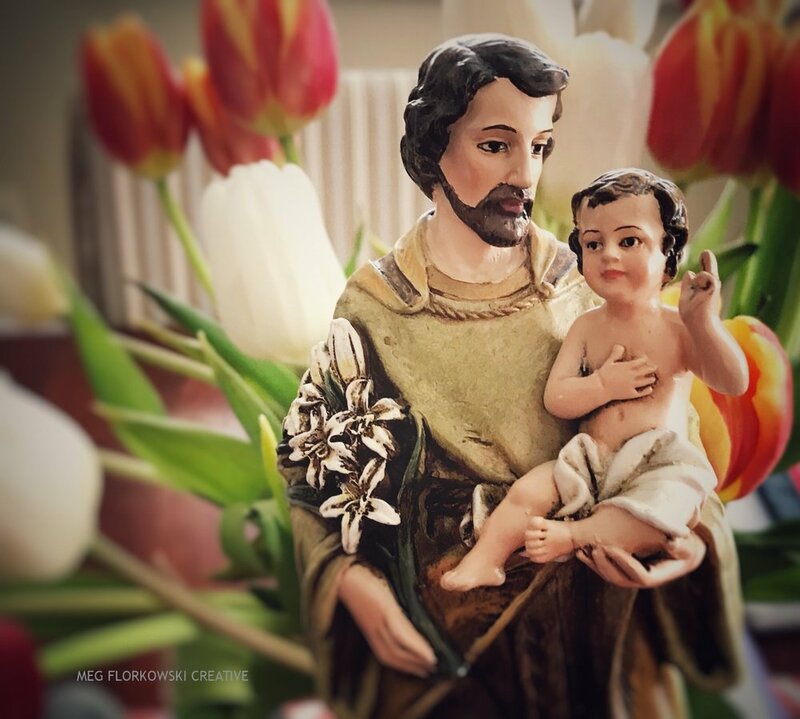 While we do not hear a lot about or from St. Joseph don't underestimate his saintly worth or his value in salvation history. He was the foster father of Jesus, do you not think, that one who cared for the Christ Child will not care for you? He will indeed and you will also be blessed with the most faithful of friends.